Frequent Flier Miles: Which Airlines Are Easiest To Redeem Economy Awards? During March, IdeaWorks made more than 7,000 trip searches among 25 airlines, looking for two seats at the basic “saver” award level—25,000 miles for a domestic U.S. round-trip, for example—on 14 specific travel dates June through October. Each airline’s 10 busiest long routes and 10 busiest medium-length routes, both domestic and international, are queried to get the fullest picture of award availability. Most improved goes to American, which admitted that they significantly increased their overall seat availability, especially to Hawaii and Europe. Worst decline goes to Alaska, which says it didn’t change the amount of seats released, so perhaps there is simply more competition and usage of the program. Note that the survey focuses on economy tickets (not business or first class). Southwest and JetBlue remain on top at close to 100% availability, but that is a bit misleading since both of their points are revenue-linked with no blackout dates. For example, 25,000 Southwest points will buy you basically any “Wanna Get Away” ticket that costs up to about $340. So the results are really just saying that Southwest’s busiest routes almost always have a flight that costs under ~$340. Southwest doesn’t fly to Europe at all, but they do have plans for Hawaii soon (which I look forward to, but will probably hurt their numbers). iPhone 6S Plus + New Apple Battery = Best Used/Frugal Phone? Update 3/17: DailySteals just added new stock in iPhone 6 and iPhone 6S at under $200 (Verizon + Fully GSM unlocked). Compare with Swappa. More and more people are being scared away from paying $1,000+ for a new smartphone as they realize that every September there will be another one that is a bit newer and shinier. 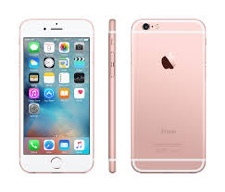 I think the absolute amount that the iPhone improves each year is getting smaller and smaller. If you’re not committed to staying on the bleeding edge, why not save some bucks? I recently took advantage of the special pricing on iPhone battery replacements on my iPhone 6, and it definitely made a difference in speed (and of course battery life). They performed the battery swap in the Apple Store in about an hour while I shopped elsewhere. This made me think about what the current best value would be for an iPhone (functionality/price). 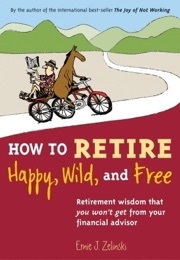 How to Retire Happy, Wild, and Free by Ernie Zelinski continues to offer smart observations on retirement. For example, when people are working, their idea of leisure is often passive: watching TV, listening to music, shopping, or eating at restaurants. However, in retirement, they need to replace all the intangibles besides money that working provided. You have a genuine interest in it. There is some sense of accomplishment associated with completing only a portion of it. It has many aspects to it so that it doesn’t become boring. It helps you develop some skill. You can get so immersed in it that you lose the sense of time. It provides you with a sense of self-development. It doesn’t cost too much. Did you know even know the Academy of Leisure Sciences existed? Another new tidbit from this book. It pays enough to support your lifestyle. Of course, this brings you to why saving up money to reach financial freedom is a worthy pursuit. The list of things that satisfies the top 8 leisure criteria should be pretty long. It might take a few tries to find something that fits, but you could play any sport, learn to cook, speak a new language, and so on. However, adding the criteria that it has to pay you makes the list much shorter, perhaps non-existent. Compare picking up cycling for personal enjoyment vs. getting paid as a professional cyclist. Learning how to smoke some decent backyard BBQ vs. getting paid as a professional caterer. Start to speak a new language vs. becoming an (adequately-paid) French teacher. I’m sure some lucky people out there really do have a perfect job where they are getting paid for something that they would “do for free”. However, most of us don’t, so that’s where financial freedom comes in to remove that money requirement. 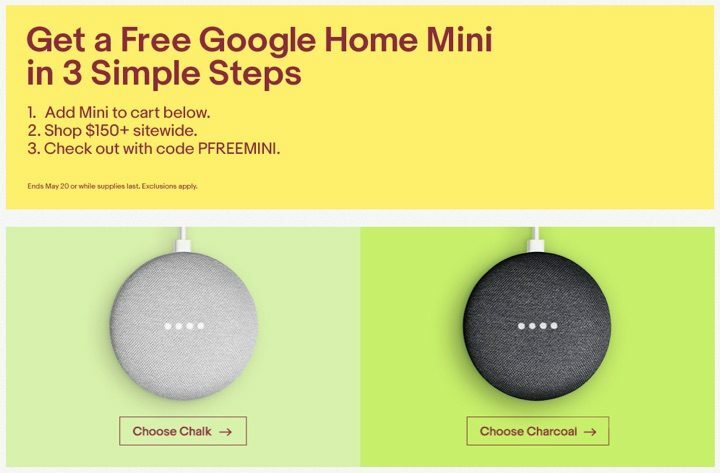 Google is offering eBay customers who spend $150+ in eligible items a free Google Home Mini ($49 retail). Eligible items exclude items from the Coins & Paper Money, Gift Cards & Coupons, and Real Estate categories. Expires 5/20/18 or while supplies last. Include a Google Home Mini worth $49.00 direct from Google in your cart. Shop for $150+ in Eligible Items. (See below for exclusions). Free Google Home Mini to arrive within 10 (ten) business days. Not a bad deal if you were already considering such a purchase, or if something $150+ you wanted was a similar price on eBay. An alternative idea is to buy $150 worth of US Postal Service Forever Stamps. Remember, you can also stack with cashback shopping portals like eBates ($5 new customer bonus), Mr. Rebates ($5 bonus), and TopCashBack ($5 right now, but varies). In addition, an umbrella policy can also fill in the gaps by providing coverage for other incidents like liability for rental properties or being sued for slander or libel. Imagine working and saving for decades, only to have all of it taken away with one incident. Real-world examples of $300,000+ liability claims. Every time I read about one of these scenarios, I think of them as a reason to keep paying for my umbrella insurance policy. Lauren Crossan, of Randolph, N.J., had traveled to Hawaii in 2004 with Susanne Sadler, Sadler’s daughter, and another New Jersey cheerleader to perform in the halftime show of the Hula Bowl. Within hours of her arrival at the Hyatt Regency Maui Resort, Crossan was seen drinking alcohol. Her body was found the next day on the hotel grounds. 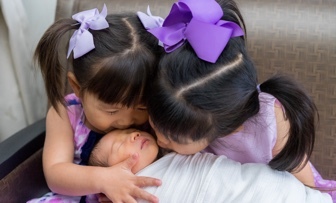 An arbitrator determined last month that Sadler was partially responsible for Crossan’s death and ordered her to pay $690,000 to Crossan’s parents and her estate. State Farm public affairs specialist Heather Paul’s dog ran out through her open gate and scared an elderly neighbor, who fell off the curb and broke her ankle. The lady filed an insurance claim with Paul’s carrier, but the standard liability coverage of $100,000 was not enough for her bone reconstruction. Luckily, Paul had an additional umbrella policy, which kicked in and covered the rest. A California woman went through a two-year lawsuit after her dog got loose and knocked over a postal worker. The dog did not bite anyone, but the worker claimed damages greater than the homeowner’s policy covered. […] This owner said she had no umbrella policy, and now she cannot get one. Her homeowner’s premium has skyrocketed. You leave a negative Yelp review about a company and the business sues you for defamation. Look what can happen with a mediocre 3-star Yelp review. A man was asked to cut down a tree from his own yard. He refused, and later a hurricane blew the tree down and injured someone in the neighboring house. Your child gets in a fight at school, and injures another student. You have a pool, and a visitor hurts themselves. A handyman or contractor hurts themselves on your property. Have the insurance company lawyers be on your side. Forget even getting a large jury verdict against you. If someone simply sues you for a frivolous reason, you’ll have to pay for a lawyer to defend yourself. With an adequate umbrella policy, the money at risk will be the insurance companies instead of your own. That means the big corporate lawyers will be on your side, and your defense costs will be covered as part of the umbrella policy. The premiums are relatively affordable. It cost us about $250 a year for $1 million in coverage for the both of us, including 2 cars and a house. That’s basically $10 per month per person. However, we did have to raise the liability limits of our auto and homeowner’s policies slightly to $500,000 each. So if you are only carrying the bare minimum required by law, your actual additional costs may be higher. If your net worth is higher, then you’d want to buy higher limits, but it should still be affordable on a relative basis. It’s often easy to add to your existing policy. It was really simple to get as well; we had an umbrella policy added to our existing policies with just one phone call. We already had our homeowner’s and auto insurance at the same company. We didn’t have to fill out a long application or go through a credit check. If the cost is a shock, consider contacting an independent insurance broker and shopping around. You may find a better deal and get a multi-line discount. But the low cost also means you may have to look out for your own interests. Something that involves a big commission like universal life insurance is more likely to generate interest from your insurance agent. On the other hand, selling you an umbrella policy results in a tiny commission. When I asked about it initially, all I got was a “yeah, I suppose that might be a good idea…” and they never followed-up. You need to take action on your own behalf. One less thing to worry about. Peace of mind. Some people believe that you may be a bigger target for lawsuits if someone finds out you have a $1 million umbrella policy. Here’s how I look at it. If I really wanted to premeditate a lawsuit against someone, I’d pick someone who is worth a lot more than $1M. More like $10 million and up. In a big metro area like mine, multi-millionaires are a dime a dozen. Even if I was frivolously sued, again the whole point is that I’m still covered. To me, this argument is like saying you shouldn’t earn more money because someone will sue you for it. Now, if you have a low or negative net worth, then perhaps there would be less incentive in getting such coverage. I certainly had no idea what umbrella insurance was in college. I would imagine lawyers are less likely to go after a big amount if you are “judgment-proof”. However, consider that your net worth may change quickly in the future, and if you did have an incident it may affect your future insurability. Bottom line. Umbrella insurance gets to the core of the purpose of insurance. You pay money to share the risk with others and protect you and your family from a catastrophic event that could ruin your lives. In other words, you pay the premiums with the hope that you will never have to make a claim on it. Earn up to 75,000 Membership Rewards points. Earn 50,000 Membership Rewards points after you spend $10,000 and an extra 25,000 points after you spend an additional $10,000 all on qualifying purchases within your first 3 months of Card Membership. 5X points on flights and prepaid hotels on amextravel.com. 1.5X points per dollar on each eligible purchase of $5,000 or more. Up to 1 million additional points per year. 1 point per dollar on all other purchases. $200 Airline Fee Credit. Up to $200 a calendar year in baggage fees and more at one airline. 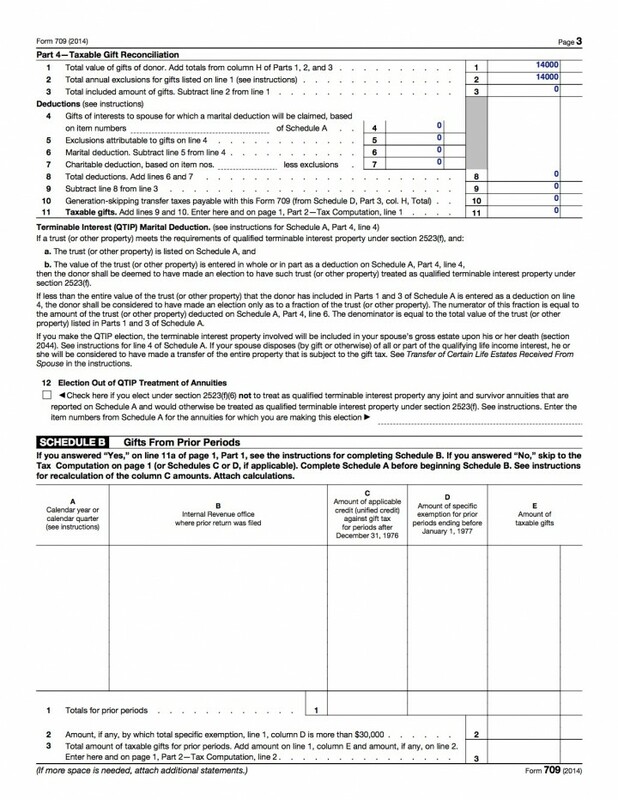 $100 Fee Credit for Global Entry or TSA PreCheck. Free Unlimited Boingo WiFi access + 10 Free Gogo inflight internet passes annually. American Express Global Lounge Collection. Some other travel cards give you Priority Pass Select, which is nice but not as inclusive as this card’s list of partners. Domestically, you get Delta Skyclub access (Individual Skyclub membership costs $495 from Delta) as well as the new Centurion Lounge network built specifically for American Express cardholders. 35% points back on all First and Business class flights, with all airlines available through American Express Travel. Automatic Starwood Preferred Guest (Marriott) Gold status. Automatic Hilton Honors Gold status. 35% Airline Bonus details. Let’s say your selected airline is Delta, and you want to buy a couple economy Delta tickets for $1,000 using their Pay with Points features. 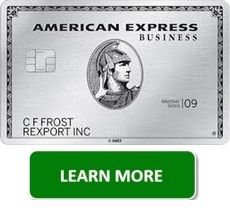 This means that $1,000 ticket booked through AmEx Travel will only cost you 65,000 Membership Rewards points net (100,000 points and then 35,000 point rebated back). This improves the 1 cent per point value to 1.54 cents per point value. This means that 100,000 Membership Rewards points can be worth $1,540 in airfare on your selected airline. Transfer partners. You can transfer Membership Rewards points to 16 airline and 3 hotel partners including Delta, British Airways, Hawaiian, JetBlue, Air Canada, Hilton, Starwood Preferred Guest, and Choice Hotels. If you’re good at snagging award tickets, you can get even better value this way. Overall, this small business card is meant for big spenders that travel regularly and value convenience and comfort. Spending $25,000 within 3 months is a relatively high spending hurdle. (Given the 5X bonus category, it would be perfect if you needed to book some business flights/hotels soon.) If you can swing that, then this card can offer a lot of value in a year. In addition to the Membership Rewards points (see above for value), the $450 annual fee can be offset by the $200 annual credit towards airline fees and the $100 Global Entry credit. I think the biggest value factor is the wide lounge access which includes more domestic lounges than Priority Pass Select alone. Bottom line. The Business Platinum Card from American Express card tries to make your air travel more pleasant by addressing things like baggage fees, economy plus upgrade fees, TSA PreCheck security lines, Global Entry customs lines, inflight WiFi, free snacks and drinks at airline lounges, etc. Right now, they have a 75,000 point welcome offer if you meet the qualifying spending requirements for new cardholders. Urbanr is an apartment rental website that allows renters to pay rent to landlords using a credit card. Urbanr accepts all Visa, MasterCard, and Discover credit and debit cards. The 1.5% transaction fee can be paid by renter, paid by the owner, or split evenly between them (owner pays 0.75% and the renter pays 0.75%). The owner/landlord must sign up on the service first to accept payments (direct deposited to their bank account). 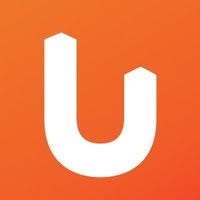 Urbanr wants to make it so that everyone pays rent with a credit card, and they claim that they are not losing money on the transaction fees. If so, they must be very good negotiators. You’ll need both parties interested for this to work. That means renters perhaps with a 2% cash back credit card or similar miles/points card, and an agreeable landlord (easier rent collection?). Principles: Life and Work by Ray Dalio is a bestselling book by the billionaire investor and founder of Bridgewater Associates. The book outlines both his personal development and investment philosophies and has been on my reading list for a while. If you’re like me and haven’t quite gotten around to reading it, you might be in luck. The YouTube channel also contains a few other longer videos dealing with the book content. Auto Insurance: How Much Will An Accident Claim Increase Your Premium? Auto insurance companies portray themselves as friendly and forgiving in television commercials, but they are less friendly than you might think. After filing just one claim, car insurance premiums increase by an average of 41.81%, according to an annual study by insuranceQuotes and Quadrant Information Services. I was somewhat surprised at how much the initial premiums and subsequent hikes varied state-by-state. On average, the annual premium is $842, but after a single $2,000+ accident claim, it goes up by $352. The source article also states that you should expect rates to remain high for three to five years, depending on the severity of the claim. Ouch. I didn’t see similar data about smaller claims like a dented bumper. 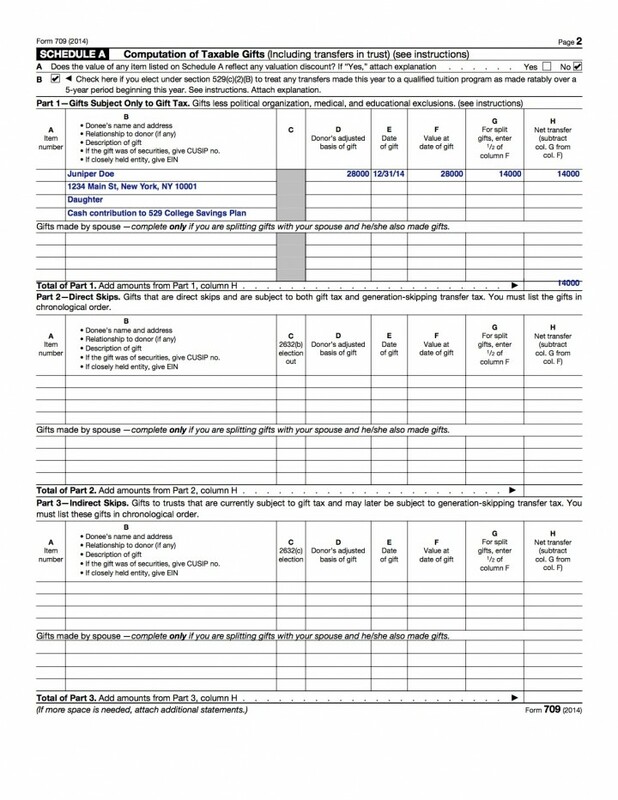 I keep my collision deductible at $1,000 because I’d rather self-insure below that amount, pocket the premium savings, and avoid any rate hikes if I did make a claim. In general, I always try to only pay for insurance when an incident would cause significant financial difficulty (your number may vary). How will you create meaning for yourself? What activities will you keep your mind and body in top shape? Where is the best environment to live? A recommended exercise is to write down the 10 favorite interests and activities that you would like to pursue in retirement. At the same time, write down how much time you are presently spending on these activities. If you are not spending any time pursuing these activities before retirement, the experts say that you are unlikely that you will spend much time on these activities after you quit work. Many people are surprised when their retirement is completely different from they imagined. They may become bored, aimless, lonely, and/or depressed. A surprisingly large number go back to work! You need to develop activities as part of your retirement planning, BEFORE you retire. Here’s my list of favorite activities, along with time currently spent. Fully updated for 2018 with new sources. Berkshire Hathaway’s Annual Shareholder Meetings are held in Omaha, Nebraska every May. Although most of my portfolio is in a diversified mix of index funds, I also own individual shares of Berkshire Hathaway and respect the rational and clear advice given out by Warren Buffett and Charlie Munger. I’ve been reading through transcripts from past meetings, but in 2018 Buffett gave CNBC a bunch of complete tapes from old meetings. I’ve wanted to physically attend a meeting for several years now, but things haven’t worked out. (Time is running out, I know…) In the meantime, here is a big list of ways you can watch, read, or listen to past shareholder meetings. Please let me know if you have something to add. Yahoo Finance Livestream. 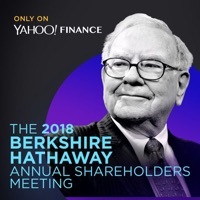 Yahoo Finance is the exclusive online host of the Berkshire Hathaway 2018 Annual Shareholders Meeting that occurred May 5th, 2018. View the entire Q&A session in its entirety on demand. CNBC Warren Buffett Archive. Footage of shareholder meetings from 1994-2017 (VHS tapes!) were converted to digital videos, which you can view in their entirety for free. Additional material from CNBC including interviews, highlights, and short-form videos is also available. ValueWalk 2018 notes by Adam Blum. ValueWalk 2017 notes by David Kass. ValueWalk 2016 notes by David Kass. ValueWalk 2015 notes by Ingrid R. Hendershot. ValueWalk 2015 notes by David Kass. ValueWalk 2014 notes [PDF] by Alex Bossert. Several individual investors share their own notes and transcripts after each meeting. Try your favorite search engine. 2018 WSJ Liveblog. Wall Street Journal has done a liveblog each year with highlights from the Q&A session. This is a good option if you are short on time. 2017. 2016. 2015. 2010. Morningstar 2018 Liveblog. 2017. 2010. Yahoo Finance also makes the BRK meeting available as a podcast, so you can listen in parts during your commute or chores. Right now, the 2017 meeting podcast is still available. 2018 should be up shortly. iTunes. Player.fm. University of Berkshire Hathaway: 30 Years of Lessons Learned from Warren Buffett & Charlie Munger at the Annual Shareholders Meeting by Daniel Pecaut and Corey Wrenn. My book review. Pilgrimage to Warren Buffett’s Omaha by Jeff Matthews was published in 2008 and presented a detailed personal account of his experiences at the meeting. Reminder: This post is about the live shareholder meeting, and is separate from the annual shareholder letters (which are also great).